This winter we will be reading and discussing Time and a Place: An Environmental History of Prince Edward Island (2016). Our discussions will probe into past and present environmental changes on PEI, and how and why the Islanders are particularly sensitive to environmental issues and enmeshed in their landscape in a way that is unique among Canadians. 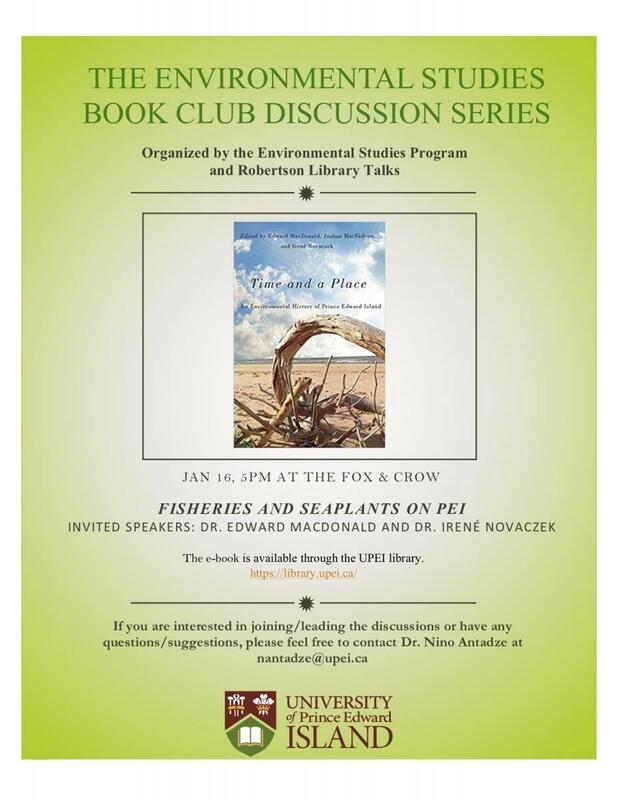 During our first discussion we will focus on two chapters: “Lines in the Water: Time and Place in a Fishery“ and “The Mermaid’s Tresses: Seaplants in the Culture and Economy of Prince Edward Island”. We are thrilled that the authors of these chapters and the book editors, Dr. Edward MacDonald and Dr. Irené Novaczek, will join our discussion.